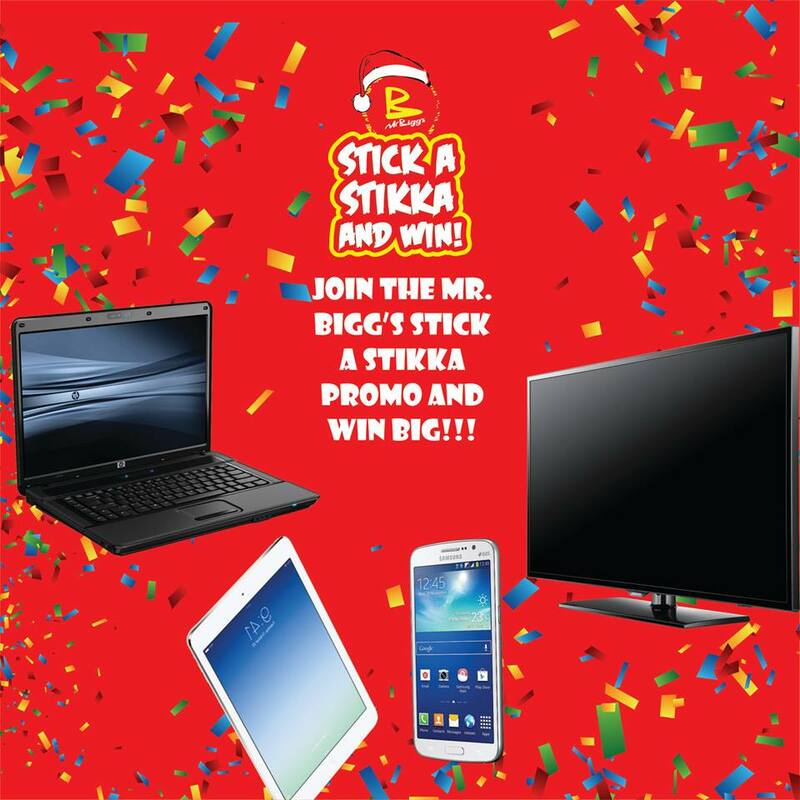 Collect a Mr. Bigg's Stikka every time you make a purchase worth NGN 1000. 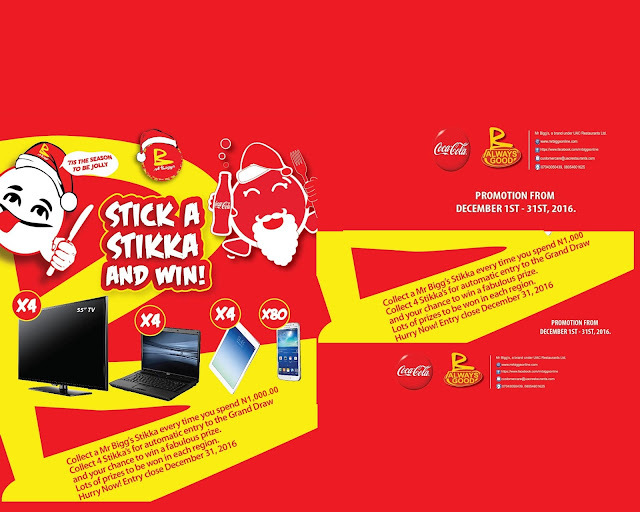 Collect 4 Stikka's for automatic entry to the grand draw and stand the chance to win a fabulous prize. Lot's of prizes to be won in each region. Join the competition and get your reward !!! Visit our restaurants, join the fun and win!